We help low-income families and individuals by providing free, comprehensive civil legal assistance to address a wide range of major obstacles. For example, we help to prevent evictions and foreclosures, address domestic violence and divorce, fix unsafe and unhealthy living conditions, obtain Medicaid and other health and income benefits, overcome barriers to employment or resolve school problems. Our approach is two-pronged: to help individuals with case-by-case problem resolution, and to use legal advocacy to improve systems, often by forming collaborative service and advocacy projects with other human services organizations. Legal Aid also provides leadership to coordinate our services with other non-profit and government agencies, to develop innovative programs, and to present community legal education. 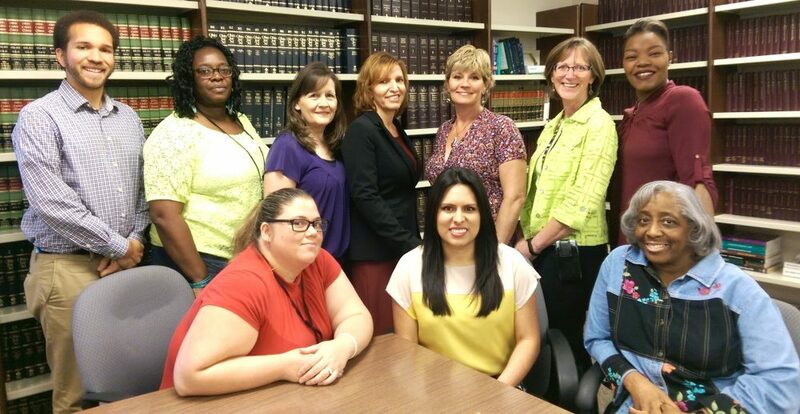 Our staff attorneys and paralegals handle over 9,000 cases a year. Their efforts are amplified by over 400 private attorneys who take cases referred by the VLP. We serve clients from two full-service offices: one in Cincinnati and one in Hamilton, as well as a satellite office at Children’s Hospital Pediatric Primary Clinic in Avondale. We conduct our legal work through four practice groups: Children and Education, Family and Immigration, Housing and Consumer and Income, Work and Health. Click on the links on the left to learn more about the activities and accomplishments of each group.